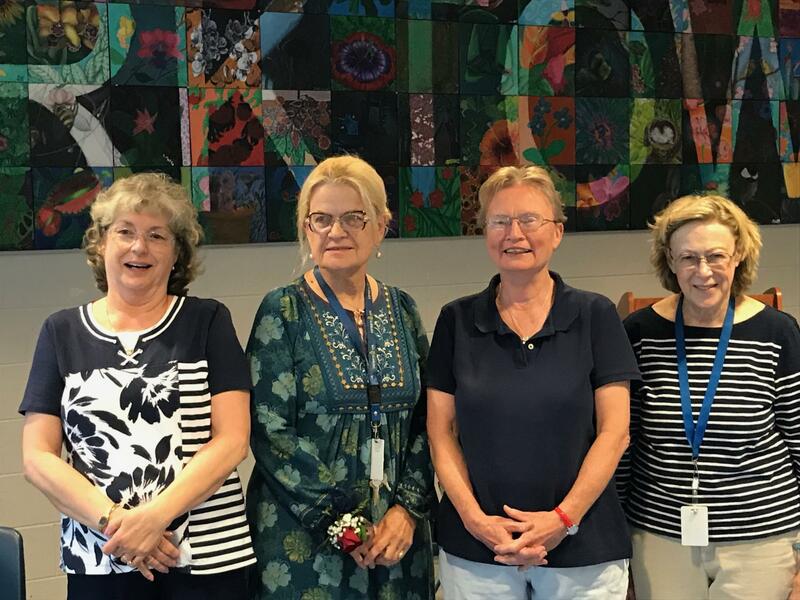 After a fulfilling 23 years of being a Special Education Resource Teacher, Bobbie Steinberg is looking forward to a relaxing and family focused retirement. Steinberg works individually with students in addition to co-teaching freshman English and history blocks. “I have a caseload of students who have accommodations who I follow, and I co-teach five periods,” Steinberg said. From a young age, Steinberg had an interest in teaching; however, tennis was her main passion. After attending two years at Indiana University and ultimately transferring and graduating at University of Michigan, Steinberg knew she wanted a career in teaching. “[As a kid,] I wanted to be a professional tennis player…. but when I graduated college I pretty much knew I wanted to be a teacher. I thought I wanted to be an elementary school teacher, so I taught elementary school for three years,” Steinberg said. Steinberg’s compassionate and kind personality carries into her teaching. After teaching elementary school, she realized it was not for her. Nearly 20 years after leaving her elementary school teaching job, Steinberg went back to school for a special education degree and certification. While in school, Steinberg also taught at a psychiatric hospital. “I taught on the [psychiatric] unit. They had a classroom, and I would have about 15 students. I would pick up wherever their [school] left off. Most of the kids were there for 30 to 45 day evaluations. I was trying to keep them on track,” Steinberg said. After receiving her degree in special education, Steinberg eventually began teaching here in 1995. From co-teaching English and history blocks to having a specific caseload of students, Steinberg has made a lasting impact on the school community, and will miss her students greatly. “I will miss the interaction I have with the students. I love basketball, and a lot of the kids connect with me that way. I’ll miss talking to them about basketball because none of my friends want to watch or talk about it,” Steinberg said. Following her retirement, Steinberg plans on relaxing and spending time with family. “I don’t have any plans. I will probably spend a lot more time in Atlanta, with my grandkids. Other than that I don’t have any other plans [after retirement]. Sleep,” Steinberg said. Steinberg’s commitment to special education will not soon be forgotten. After 23 years on staff, she has positively impacted many students and teachers. Anya Gan is a geometry, math analysis trigonometry and precalculus teacher. She has made a lasting impact on the math department, and will be missed. Orpha Durgin will be retiring this year after teaching English for many years. She will be missed, and we wish her a worthwhile retirement.